“Buy Me a Pie!” with Apple Watch support! 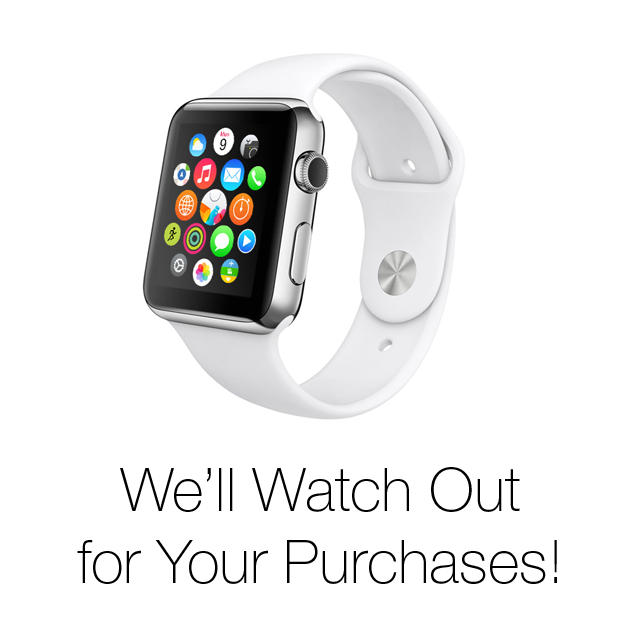 Home > Blog > “Buy Me a Pie!” with Apple Watch support! Share the post "“Buy Me a Pie!” with Apple Watch support!" For all those in the forefront of new technologies, for the fortunate possessors of long-anticipated magic Watch, for all “Buy Me a Pie!” friends and fans who plan to try the new Apple gadget – here comes “Buy Me a Pie!” with Apple Watch support! Ok, how to play with this new toy? Have you already watched this video guide from Apple? If not yet, we’d recommend doing that, since it takes only 5 minutes but explains the basic options and controls of the new device. To have “Buy Me a Pie!” app on your watch you need first of all to make sure you use iOS is 8.2 or later on your iPhone, and if so, to tap Apple Watch icon there, select “Buy Me a Pie!” and set “Show App on the Apple Watch” option to ON. As a result you’ll see a small round icon of “Buy Me a Pie!” on your Apple Watch among the icons of the other apps. There are two ways you can start “Buy Me a Pie!” on the watch: you can either tap the app icon or tap the app Glance. According to Apple, Glances are scannable summaries of the information you seek out most frequently. To see them, you should simply swipe up from your watch face. “Buy Me a Pie!” Glance displays the number of products in the last list you’ve opened. What can I do in “Buy Me a Pie!” on the Apple Watch screen? You can see your lists. To open the list of lists, please tap the title of the list you currently have open on your watch. You can see the products in each of your lists. If you’re in the list of lists, tap the required list title to open the selected shopping list. Please note that when you open a list it displays only non-purchased products. So if someone you share your list with has purchased some product from this list a few minutes ago, you will just not see that item among the items left in the list. You can cross the purchased products off. Here the procedure is the same as on iPhone or iPad: just tap the product to mark it as purchased. You can return a purchased (crossed-out) product to your lists by another tap on it. Note that you can do that only to the products you’ve crossed off on your watch. To see the changes made in the lists from other devices you should either proceed to the list of lists and then open the required list again, or simple deactivate your watch screen by lowering your wrist. To scroll your list tap the clock. By the way, that is one of the standard Apple Watch features that works will other apps as well. Enjoy your shopping with “Buy Me a Pie!” and your new watch! Funny – a few weeks back I finished my BuyMeAPie Client for Pebble, and currently work on the color pebble time update. Wow, really? That sounds very interesting! Could you please tell us more about it? How do you distribute it? Would you like to discuss your product promotion? Please contact us at marketing@buymeapie.com! Yes, what about Android Wear? Android Wear support is not planned for the nearest future. That’s really, really disappointing. What’s the reasoning behind this? The app already runs perfectly on Wear (if you sideload it) – it just needs some optimizing for round screens. From within the Apple Watch app on the iPhone it only lists the Free version of the Buy Me a Pie! app and I use the paid version of the app on the iPhone. So…? Apple Watch support for PRO app is also ready and is on its way to App Store – it just need a bit more testing that free app. As soon as the developers make sure it works correctly, it will also be released. Do you have an estimated time we can expect this? As a long time supporter of Buy Me A Pie who paid for the old version and then happily paid again for the new version when it was released, I’m a little bit disappointed that the free version got a major new feature before the paid version did. The PRO app with Apple Watch support will be released in May – developers are doing their best to polish it and deliver flawlessly working app to PRO customers as soon as possible. Really poor form releasing new features into the free version first. Not sure whose great idea it was, but perhaps next time hold back and give it to paid first to reward them for their contribution. Other developers know to reward their most supportive users first – perhaps you should too. It’s a bitter taste, that the “new” freemium app got the update before the pro app does. Seems that they are going to switch to a monthly paid model. But please tell us users and give us e.g. a free first year. The Pro app is $24.99 in the iOS App Store. Surely this must be a mistake. If it’s not a mistake, have you lost your minds? Sean, this is neither a mistake, nor minds loss. That’s the cost of convenience to use the app without ads and with 20 lists. Besides the PRO app for $24.99, there’s free (free!) 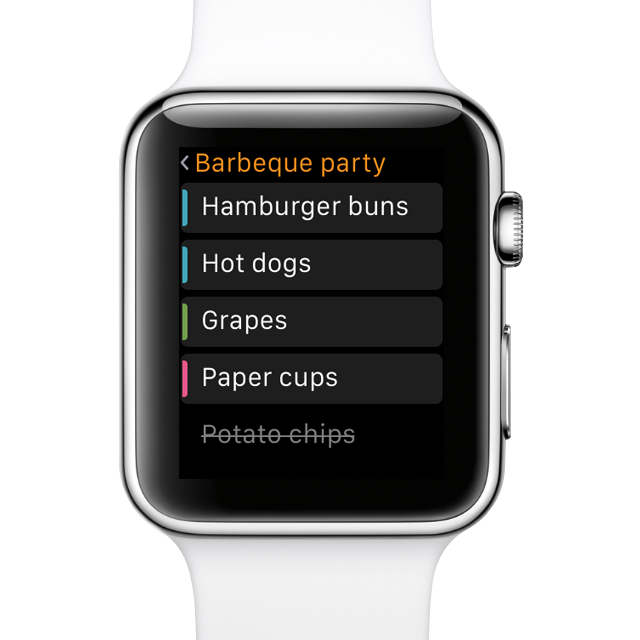 one with ALL PRO functions – with lists sharing, Apple Watch support and the rest. Isn’t that super good? Are there any plans to support the new watchOS 2 complications, showing the number of items on the watchface? (Bring! does that) – would be really nice. And please update your homepage: it’s quite puzzling to have a free version, a Pro version vor €24 (heavens! I’m on the “apps shall be payed” train, but this is a bold statement) and a subscription model for 9,99 € per year. None of this is expained on your website (at least the german version). Buy Me a Pie is not in my Apple Watch app as an install-able app. I have OS9.3.1, Apple Watch 2.2, BMAP Free. How do I get it in there, buy the Pro version? that is tacky.